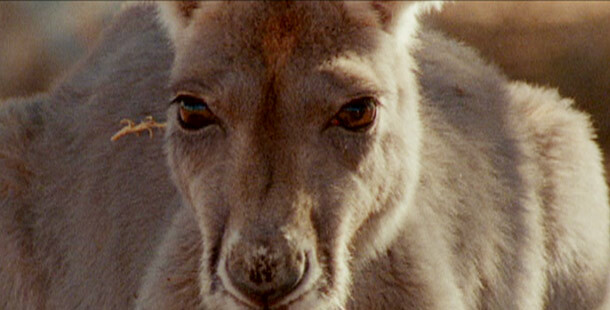 NATURE invites viewers to share the inspiring beauty and harsh realities of survival in the land of the Big Red Roos. They box and wrestle, kick with authority, and cover large patches of ground with powerful leaps. In fact, the red kangaroos of Australia’s Outback are among the finest athletes of the animal world. And that’s just as well, since the Outback presents one of the most challenging environments on the planet. Some of the hardships kangaroos must learn to endure are summer temperatures reaching more than 140 degrees Fahrenheit; persistent drought that’s occasionally interrupted by deadly floods; powerful eagles that swoop down from the skies; lethal parasites borne by mosquitoes; and the ever-present danger of hungry dingos. Moreover, the rising human demand for kangaroo meat does little to brighten life expectancy for members of future generations. Yet kangaroos thrive by the millions. Big Red Roos provides an incisive look at how they survive, by following the adventures of a small group, which includes a mother and the young joey she must do her best to protect.